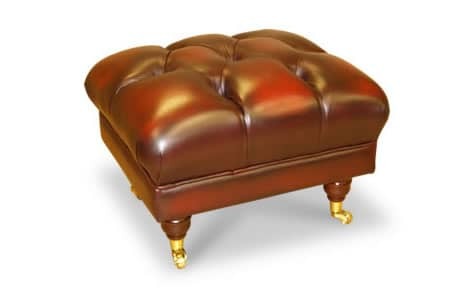 The classic leather Lancaster Queen Anne Footstool from Chesterfields Direct is a firm favourite. Based on the traditional Chesterfield design with some contemporary features incorporated, its curvaceous style provides eye-catching comfort and is the perfect addition to your seating arrangement. Choose from a wide range of leather styles and colours.